Do more with your first two years post-grad. The Atomic Accelerator is an accelerated professional development program for newly-graduated developers who join Atomic Object each spring. This is not a glorified internship. You’ll join our team as a full-fledged Atom, with the same benefits, pay scale, and responsibilities as other Atoms—including working on real software projects for Atomic clients. You'll join a team within a team. 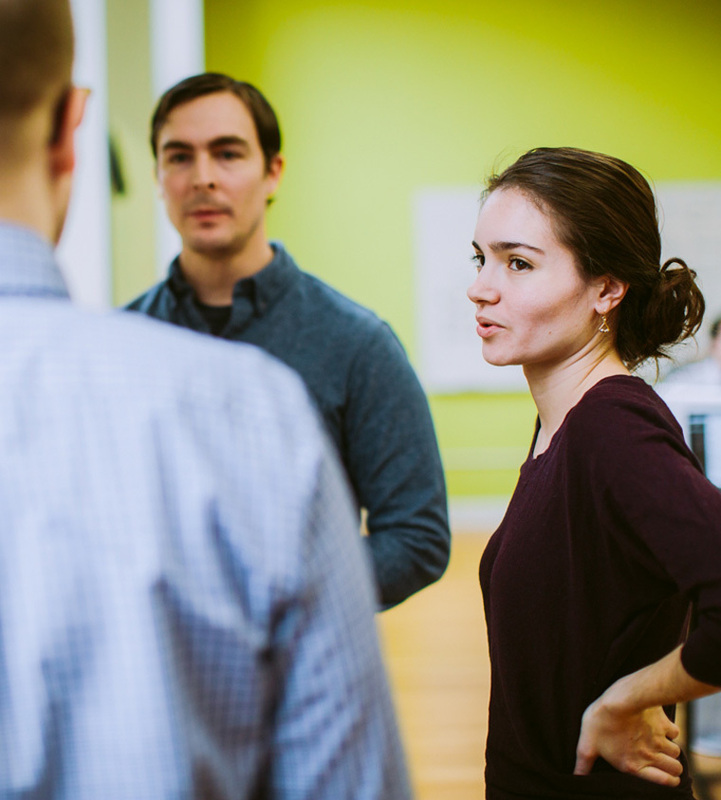 Become part of the Accelerator team, a small group of new grads learning and working together. You'll also connect with the larger Atomic team and spend time with the CEO. You'll get coached for success. Dive into a guided curriculum that will polish your consultant skills and teach you to make problem-solving software for our clients. You’ll also get weekly coaching and feedback from experienced Atoms. Attend two development conferences each year, plus local events and user groups. Atomic is serious about ongoing learning and contributing to the larger development community. You'll jump start your career. Get ahead in your career by joining a consultancy, where you’ll work directly with clients and use new platforms/languages every 4-6 months. You’ll quickly gain a larger knowledge base and professional network than your friends at product companies. Join a tight-knit group of makers working in an atmosphere of friendship, collaboration, and respect. Atomic is a transparent, employee-owned company that takes great care of its employees. We're also making the software community stronger, smarter, and more diverse. See the full list of past and current Accelerator members. From casual office chitchat to inviting everyone along for a coffee walk, you get the sense early on that everyone is welcome, no matter how new you are. And Atomic has such a diversity of clients and project. I love knowing that my work will span such a variety and that it’ll never get dull. My favorite thing about Atomic is how dedicated everyone is to learning. All the people here are passionate about continuing to grow and develop not just in the technical skills for the job, but also in a more holistic manner, as consultants and as people. I've been pleasantly surprised by how committed everyone is to inclusivity and forming meaningful relationships with other Atoms. Not only is everyone good at what they do, but they are welcoming, humble and ready to share their knowledge. I expected to do a lot more listening than talking, but my team seems genuinely interested in my input and opinions about our project, and they encourage me to share them. It’s impossible not to grow and learn when you’re surrounded by so many smart people. Accelerator news from our company blog, Atomic Spin. Graduating with a Computer Science or related Bachelor's degree. Willing to work from our office in Grand Rapids. Positive, curious, and ready to work hard and learn a lot. Team-oriented—eager to work side-by-side with designers, clients, and other developers. We have filled our 2019 openings. Check back this fall for 2020 positions.